Dec. 12, 2018. 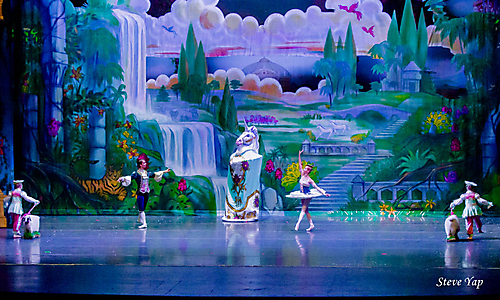 The Moscow Ballet Dove of Peace Tour brought the Great Russian Nutcracker to at Comerica Theatre, featuring world-class performers. The main character Marsha and the Nutcracker Prince traveled to the Land of Peace and Harmony on wingspans of 20 feet, and celebrated great heritage of the world. Moscow Ballet’s North American Tours occur annually in more than 100 cities, and include community engagement programs and fund-raising component for charitable organizations.